Grace Allison is our CatPrint Artist of the Month for July 2015! 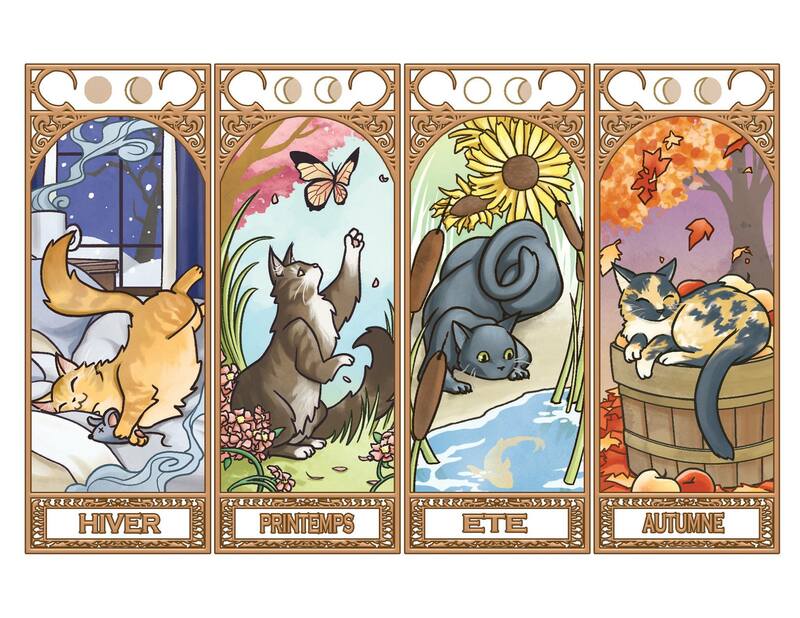 A complimentary 8.5″ x 11″ print of her piece “Quatre Saisons des Chats”, printed on our Linen Card Stock, will be included with all comic, illustration, and anime/manga art orders through the end of this month of July! Grace Allison is our July CatPrint Artist of the Month for 2015. Her piece is titled “Quatre Saisons des Chats”. To learn more about Grace Allison, the following are links to the artist’s portfolio or web store. Content Advisory: CatPrint is not responsible for any content on external websites.